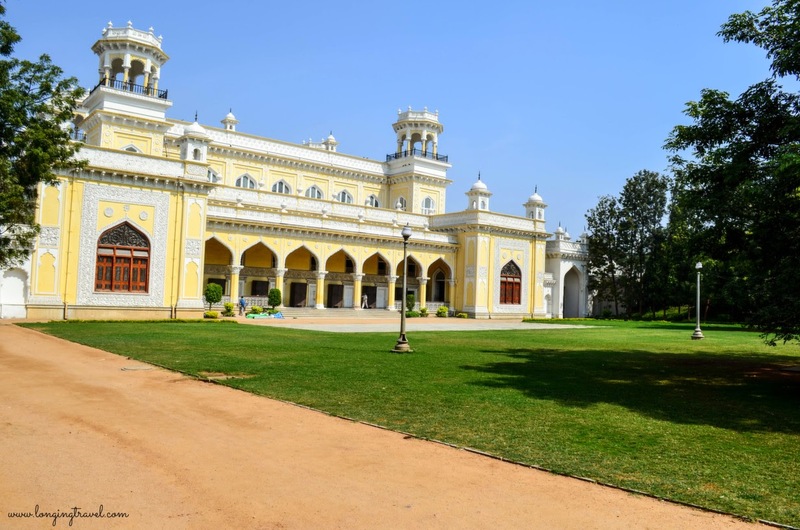 The City of Nizams and the home of Kohinoor Hyderabad has a distinct culture, a proud mix of Telangana, Andhra and Nizami heritage which shines through the city and its various monuments. 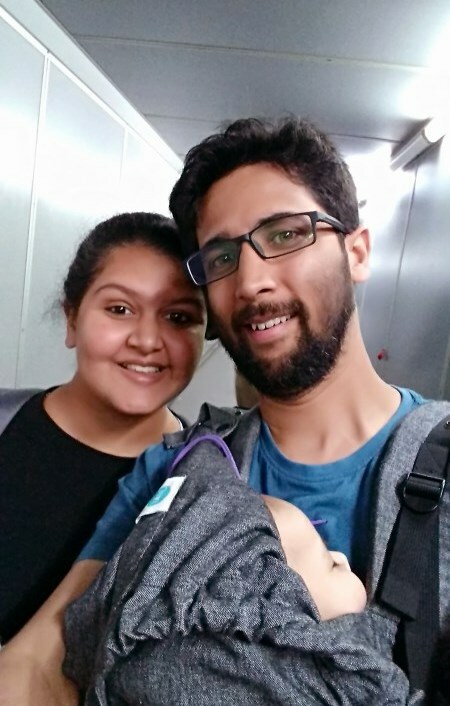 As we started our bike at 7:30 in the morning to visit some of the best parts of Hyderabad we were sure we will miss a lot. There is just so much to do and see, that we decided to take up the entire next month and dedicate it to the city. From its old city bazaars to the up coming new offices and glass facades. 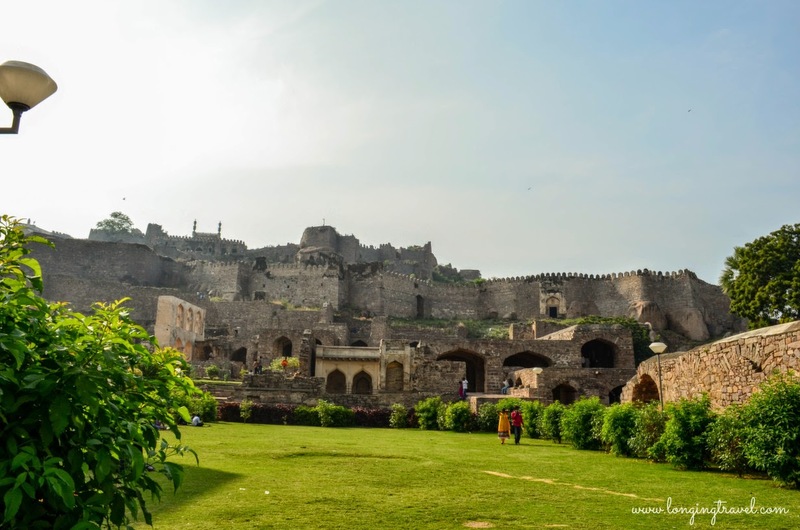 Home to the Qutub Shah dynasty after breaking from the Bahamani rulers the city took birth from the enclosures of Golkonda fort, when Charminar was constructed. Like I said earlier there is a lot to see and do we were hard pressed to eat it all and then see it all. We covered five of city's famous monuments and ate at some of the well known places, and then some of the less known ones too. Though the city is now knows for its IT parks the heritage stands tall, literally. With a fort high up on the hill overlooking the tombs of its rulers all kept safe by an enclosure running into kilometers. Missing out on the delicate carvings and beautiful ceilings of the Chowmahalla would be criminal if you ever set foot in the city. 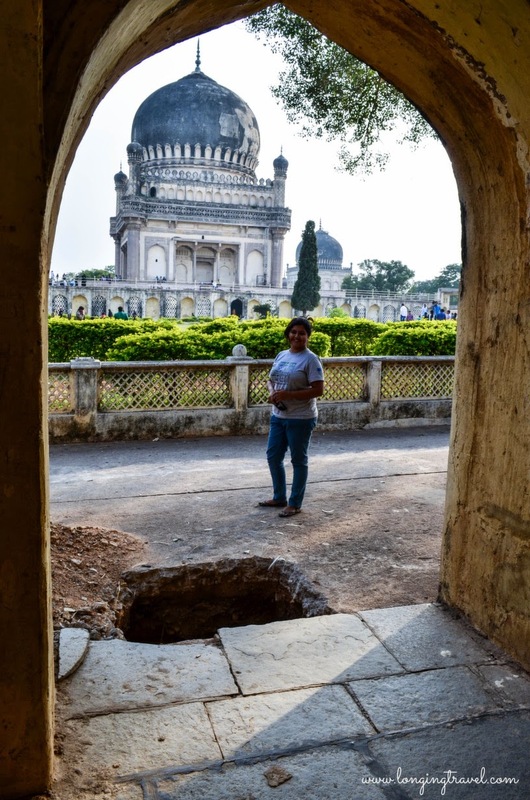 A treasure trove for the history buffs and a delightful experience for any one who is looking for food and culture Hyderabad can keep you occupied for days but there are very few who give the city the time it deserves. The icon of Hyderabad Charminar a mosque constructed by the Qutub Shai rulers. The monument stands tall with four roads reaching it one from each direction. 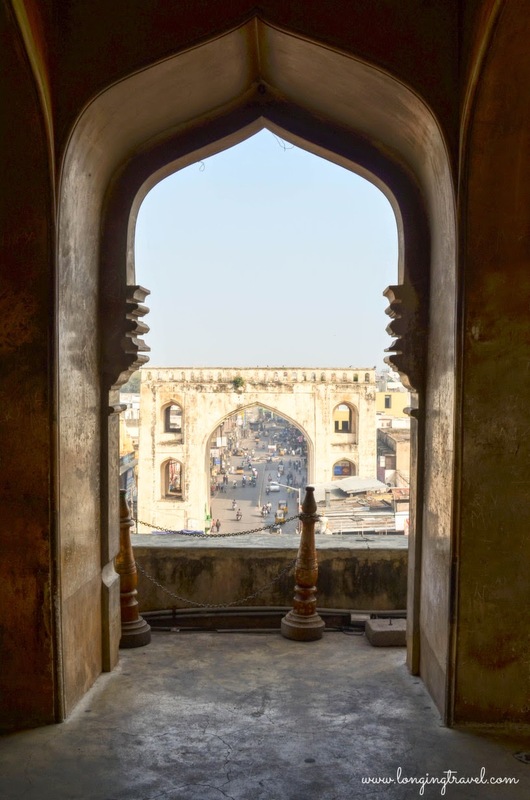 With markets famous for its finery like bangles (Lad Bazaar) pearls (Patther Ghati) and Nizami cuisine Charminar the monument is but a part of the larger CharMinar area what is called the old city of Hyderabad. Over past few years we have visited the monument multiple times and the charm of climbing the winding stair wears out after the first time for most. 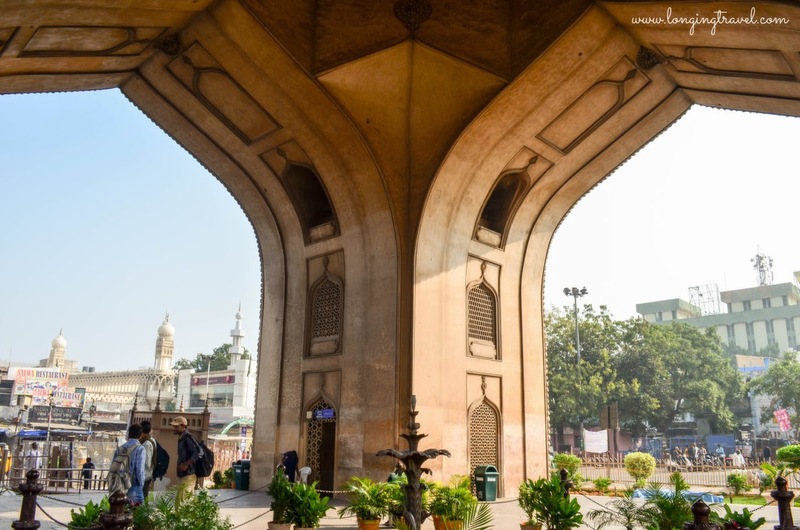 Though if you go early int he morning it is a great setup for clicking the area.It is a must visit for anyone who wants to see the bazaars of the city. 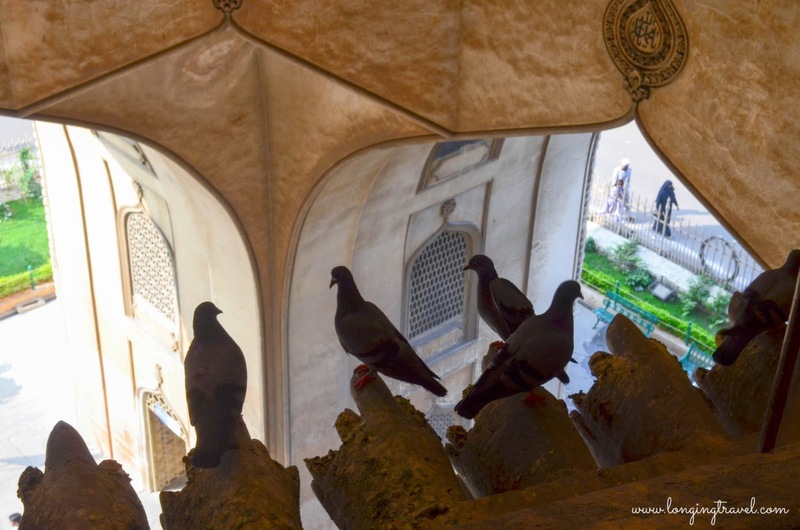 A walk around the area from Charminar to Chowmahalla palace or Ashur khana is one of the best ways to take in the area. Tickets are 5 for Indians and 100 for Non-Indians. There are no charges for a regular camera but video cameras are charged. The monument is open from 9am to 5:30 pm all days except Fridays. It is not accessible to people with any mobility issues. upper stories can only be reached through winding stairs which can be a challenge for even those with best legs. It is better to walk around the market if you don't want to test yourself with high steps with small treads. Maneuvering a wheelchair might be difficult in the market on your own. Traffic gets worse as the day progresses, beware of your surroundings especially while crossing the road. Vehicles can come from any direction and would not stop unless they have to. The area has some of the best eateries around town for Nizami cuisine and have been here for ages. Sample Irani tea with some Osmania biscuits. As long as you are decently dressed and not showing much skin nobody will frown upon your choice of dress. If you want to completely eliminate the possibility of people looking wear a headscarf, it is completely normal for some to cover their faces with the head scarf. This is by no means necessary unless you want to visit the mosques in the area. There is no toilet access in the monument itself. Palace of the current Nizam though not his current residence the palace showcases luxury and opulence of the city's rulers. 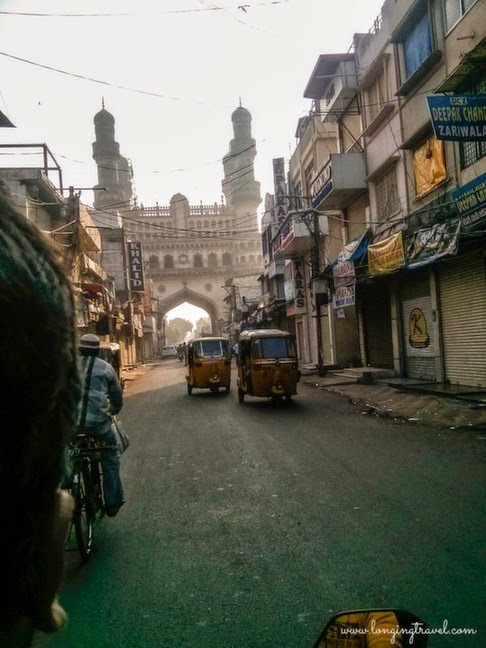 Barely a few km form Charminar it is a cheap auto ride or a good walk through the markets. 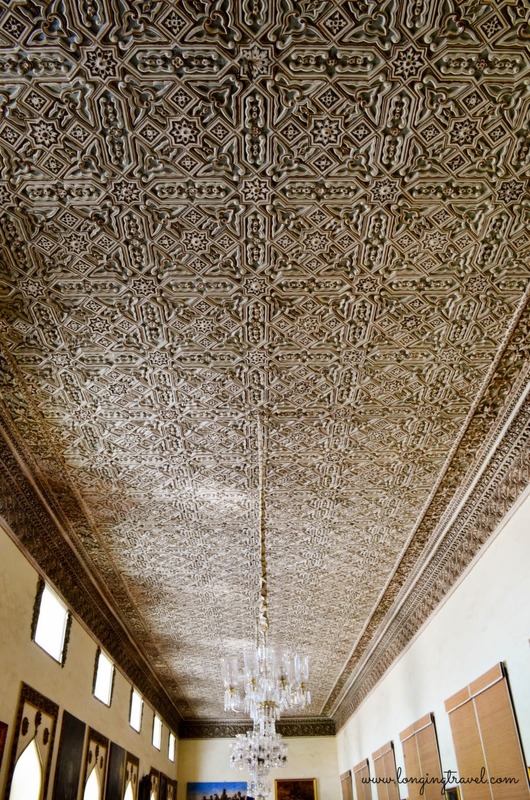 Rooms of the palace have been turned into galleries displaying historical facts, seals, royal finery, crockery and restored Qurans to name a few exhibit. The exhibit which draws attention the most is the one with royal ides on display from elegantly embroidered buggy to bikes, cars and jeeps leading to the prized Rolls Royce Silver Ghost. For those with historical weapon interests this is a must visit with displays of weapons ranging from fine arrows to guns. The palace and specifically its ceilings are something which are well worth the visit if you do not like any thing historical. Entry is 40 for Locals and 150 for non Indians. 50 Rs is charged per still camera and 100 for video cameras which is checked at many spots.. For some reason tripods and stands are not allowed. Parking is 10 for a two wheeler. Opening timings 10 am to 5pm and is closed on all Fridays and national holidays. Keep at least 2 hours for the palace if you plan on moving fast with cursory glace at the exhibits, more if you actually plan to read the description. Photography and access is prohibited in many areas. Such areas are clearly labelled. You cannot go wrong as there will almost always be a guard on duty in any room. Though the palace in general is accessible with a wheel chair most of the exhibits aren't. We saw a few with wheel chairs but most were at some point assisted to their feet or had to wait while others roamed inside. This is also one of the more visited monuments of the city and it is quite common to have buses after buses stop here. if you want to roam around in quiet reach there by 10 am. Probably the second most famous building of Hyderabad after Charminar, the fort is famous for its acoustics among other things. You will find a crowd clapping right at the entrance of the fort so that others at the top of the fort can hear them. Known worldwide for being the home of some of the famous diamonds in the world including the Hope diamond the fort can take days for any one to discover its nooks and corners. Some parts of the fort are closed for conservation purposes while many openings have been closed to maintain the integrity of the fort. Entry is 5 for Indians and 100 for foreigners. Video camera is charged at 25 and there are no charges for still camera. Be sure if someone asks you for a ticket for your camera, if it is not a videography camera you don't owe any body any money. Opening times are 9-5:30 everyday except Monday. There is a sound and light show in three languages. The show starts usually around 7pm and the tickets can be bought from the same window as the entry ticket for 130 per person. If you plan on climbing to the top carry water with you as there were no water source on our climb. The fort is partially accessible but we did not find any ramp to access the upper areas. Like the other two monuments there is a huge crowd every day in Golkonda especially on weekends. Guides are easily available, you can also choose to take the GPS audio tour they are available right outside Fateh Darwaja after collecting your tickets. There is a cloak room near the ticketing window and no bags are allowed inside though we did find people playing badminton inside. Charges are 5 per bag and you are issued a receipt, keep it safe. Another small monument that can be visited is the Taramati Baradari, entry is free and it is a around 3-4 Km from Golkonda fort. It is a part of Tourism hotel grounds but you need not spend a penny to visit it. 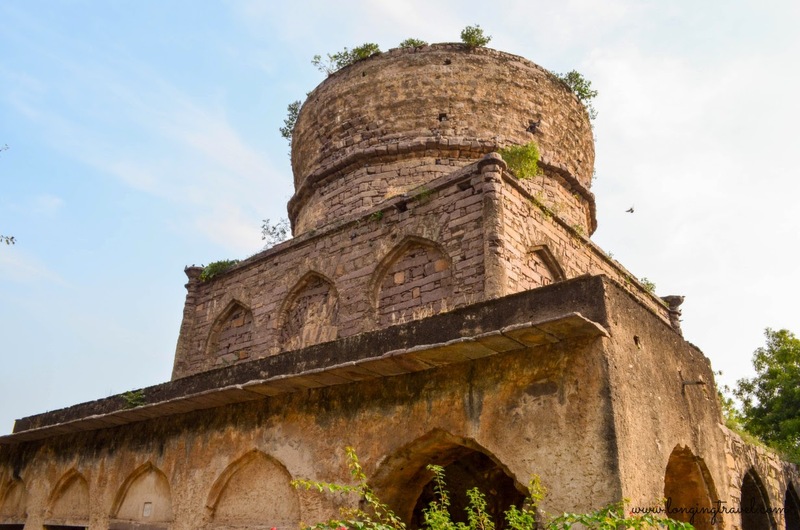 Tombs of the Golkonda rulers who changed the face of the city and its surroundings. They were the founders of Charminar and Hyderabad. 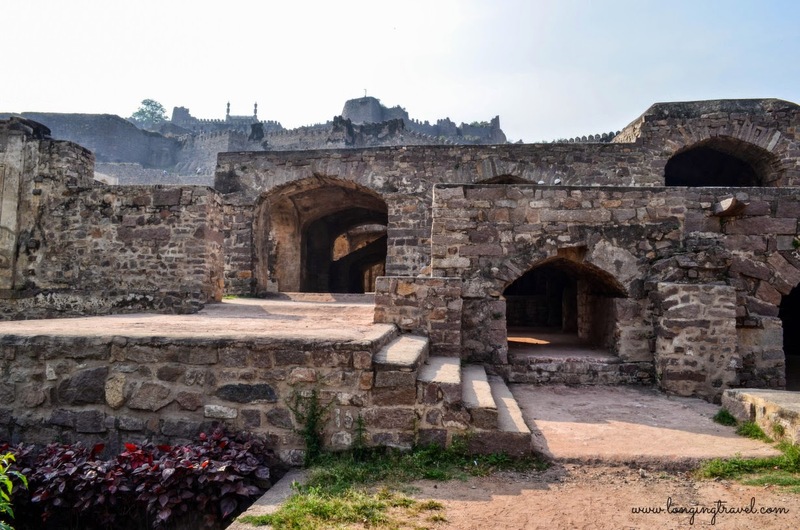 The complex is barely few km from the fort and extensive conservation work is underway, which does not interfere in enjoying the magnificent architecture and elegant details. Start your visit with the interpretation center which will take you through the history of the area. It is really fascinating to see older photographs of the area which show the vast expanse of the kingdom. There are over 40 tombs of various sizes, 23 mosques 5 step wells and an enclosure running for kilometers. Entry is 10/5 per adult/child for Indians and for foreigners. Camera charges are 20 and you pay 10 for parking your two wheeler. This is a huge complex and would take at least 2-3 hours for you to visit it and take in all the information. Guides are available though we could not find any audio guide being provided. It is a decent walk from the entry gate on the main road. If you have come in a auto ask it to drop you inside after you buy the tickets we did see a few autos passing the barrier. Be respectful these are tombs and mosques. It is expected that you would be decently dressed though the chances of anyone harassing you are minimal. Do not miss the mortuary bath it is a rare buildings and you will not see this in most of the famous Indian monument complexes whether they house tombs or not. 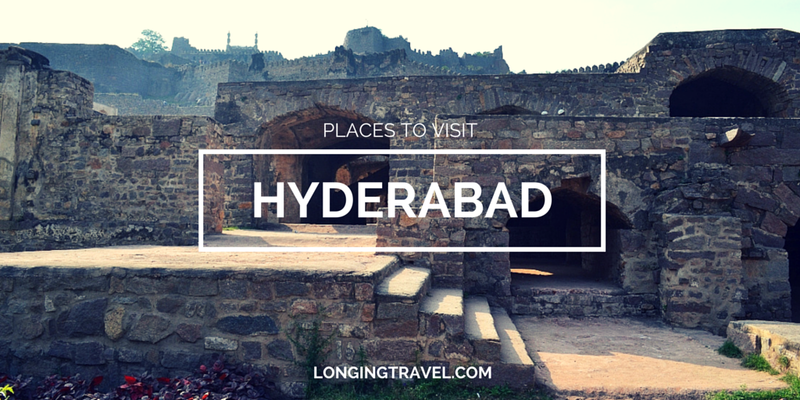 If you are in southern India make a day stop at least in Hyderabad, you will not be disappointed. We have been asked if we do Hyderabad day tours/ package tours. If you also have the same question please send us a message on our FB page.